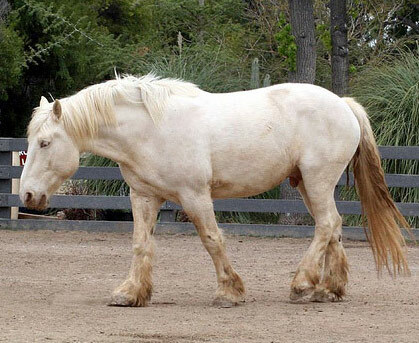 A relatively new breed, the American Cream Draft comes from Iowa in 1905 and a foundation mare named Old Granny. 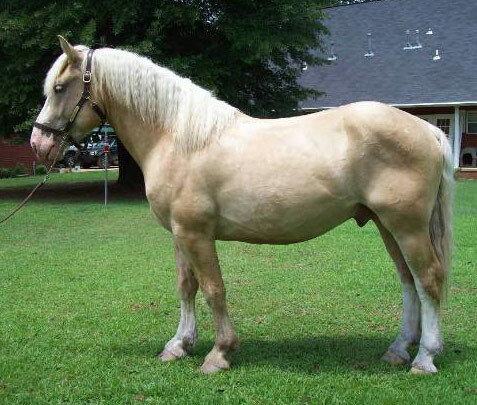 The only draft breed native to the US, the American Cream Draft is a rare breed with a cream coat, pink skin and amber colored eyes, all three specific traits of the champagne dilution gene. 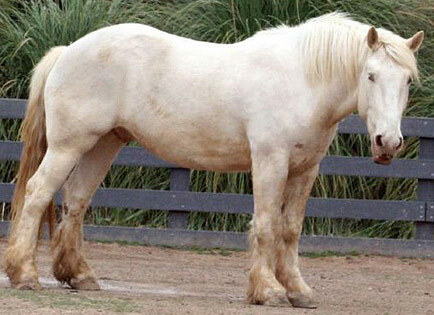 The American Cream Horse Association of America was developed in 1944 and the breed was recognized in 1950 by the Iowa Department of Agriculture. 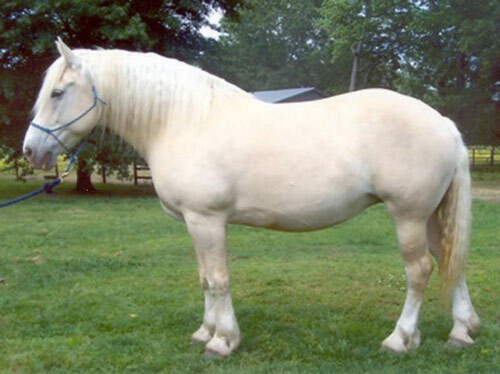 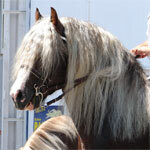 The flagship mare was bred to a number of different draft breeds and colors in the hopes of maintaining the creamy color. 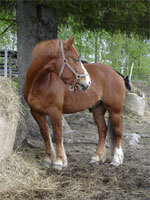 The replacement of farm animals with heavy equipment caused a sharp decline in the cream numbers and the breed faced extinction. 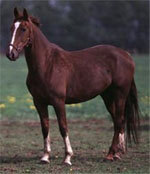 In 1982 a revival attempt was made and today the numbers still increase.